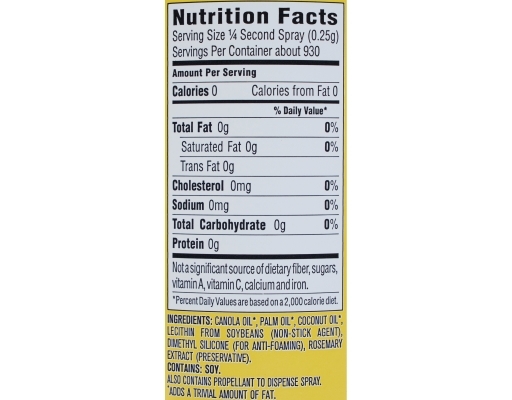 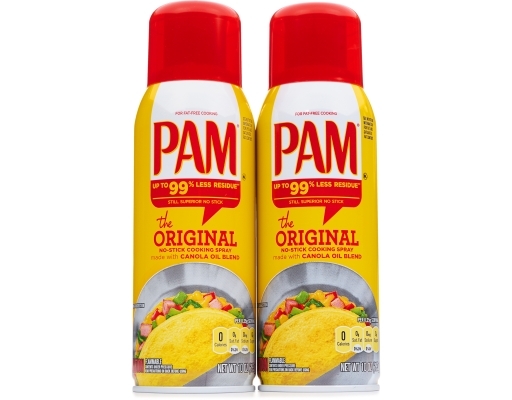 All Natural Pam Original is the versatile, undisputed leader in non-stick cooking sprays. 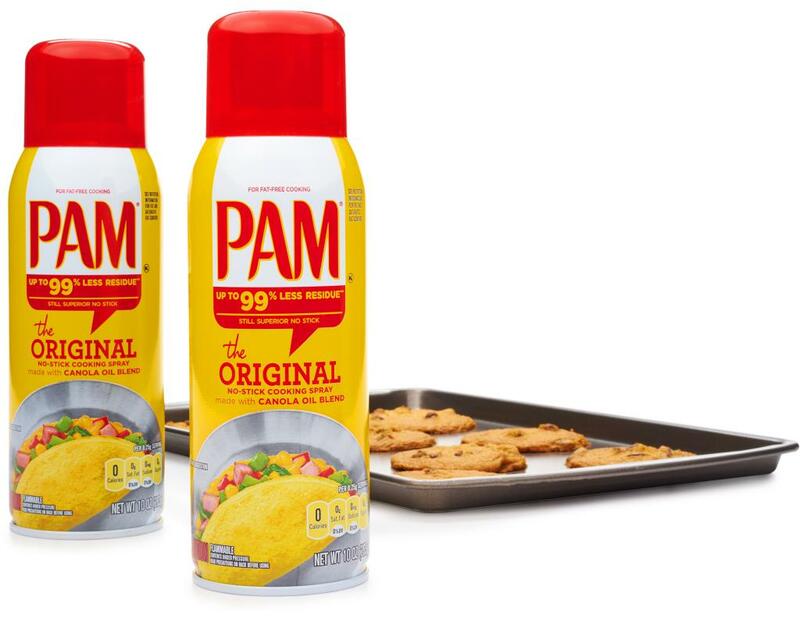 Use it for everything from better browning of your roasted turkey to keeping spices on your uncooked meats. Available in a twin pack of 10 oz. 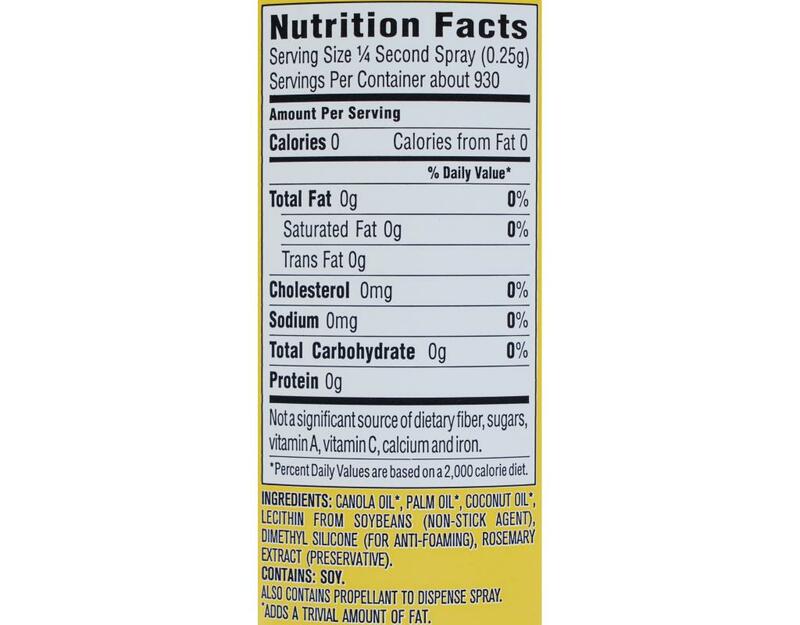 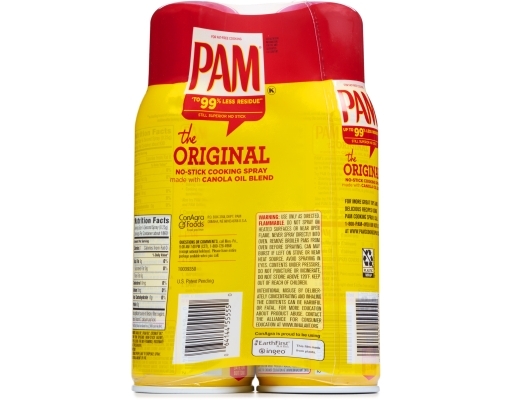 cans, Pam Original leaves up to 99% less residue than margarine or bargain-brand cooking sprays, so you spend less time cleaning and more time doing the things you want to do.